Lighting control is one of the most convenience oriented service we offer. Sakab Design is focused on comfort and efficiency when developing a lighting plan. Architects and designers have embraced the simplicity and convenience a well designed lighting control system offers clients. Imagine having the ability to control the lighting in specific areas of your home or business with out installing dozens of switches. Sakab Design is a proud advocate of the benefits wireless lighting systems offer. What if you can create an environment where your kids can walk in a dark hallway and the lights turn on automatically, where your employees don’t have to worry about turning lights on or off, or having the ability to turn off all the lights in your home from one switch by the front door. All and more can be achieved through Sakab Design. 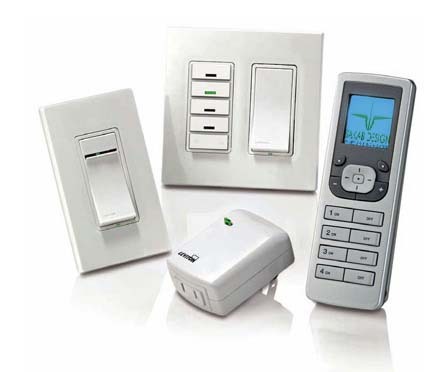 Lighting control systems not only offer convenience but savings. Automating lights to go off when there is no activity in a room helps reduce your electric costs dramatically. So stop yelling at your kids or employees about leaving the lights on and install automated lighting systems with Sakab Designs. Sakab Designs started out in the home automation business with a very important goal in mind, to help ensure no one loses the freedoms they love. Give your loved ones their freedom to control their environment without inconvenience. Sakab Designs offers specially designed packages for people with special needs such the elderly or disabled.